At CHEFIN, our community of private chefs are passionate, creative, and ready to cook up incredible food – wherever you are. They’ll work with you to design a menu that’s made the way you like, from canapes to grazing tables, buffets, and BBQs, and deliver fresh gourmet meals cooked on-site. Best of all, we’ll take care of the cleanup. Sometimes you want the restaurant experience but not the restaurant. You want the fresh, gourmet food and impeccable presentation, but not the crowds. You want multi-course meals from the comfort of your couch, or impressive menus at your party. That’s where our private chefs come in. At CHEFIN, our vision is to help people reconnect over the love of food, and we’re doing that by reintroducing the chef as part of the experience. You don’t just get good food when you bring a CHEFIN, you get an entire experience. Work with your personal chef to design a menu, learn about obscure ingredients and techniques used in the cooking, and watch your chef as they prepare elaborate meals and presentations. Why settle for a platter of food when you could have your own private chef? Innovative, creative, and highly skilled in a wide range of cuisines, our chefs are constantly exploring new food concepts. With experience working at top restaurants all over the world, our private chefs create authentic cooking that’s prepared with love and dedication. Whether you’re throwing a huge event, celebrating a special occasion, or just want to treat yourself to fine-dining, you can expect unforgettable private catering from your personal chef. Bon appetit! It’s as simple as that. Your private chef will get to work sourcing fresh produce and ingredients for your meal, we’ll take care of any equipment hire, decorations, or drinks, and you sit back and relax. On the day of the event, your personal chef will cook and deliver your meals on-site, and we’ll take care of the clean-up. You could eat, or you could have an entire experience. 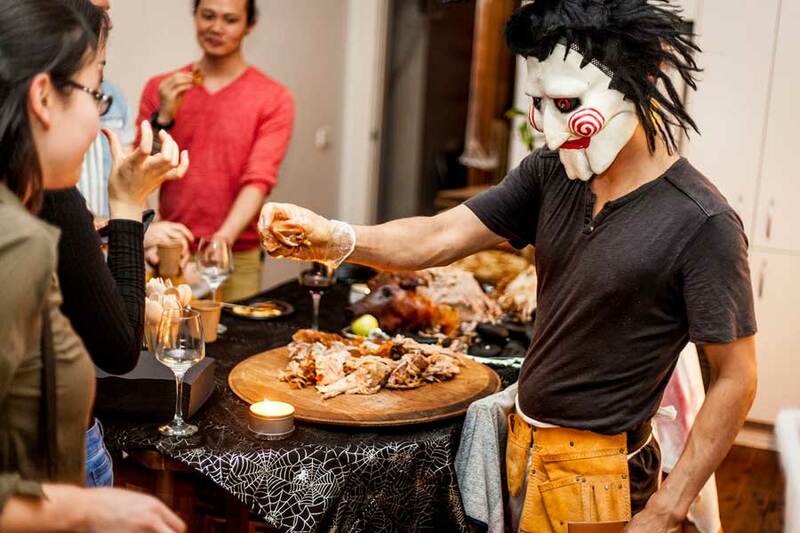 Heighten your senses and sit down to a 3-course gourmet meal that’s consumed while blindfolded. 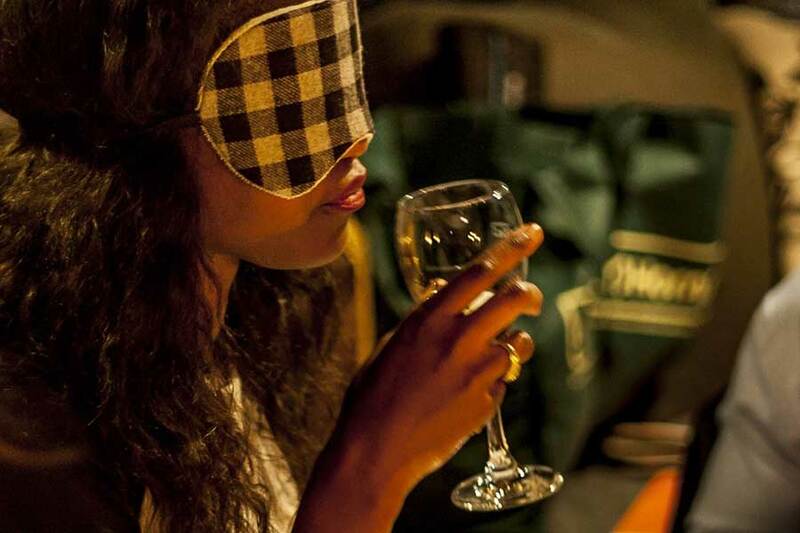 Our blindfolded dinners are a huge hit and have you experiencing your food in a whole new way. Without the sense of sight, your senses of taste and smell are stronger, making for one seriously unforgettable meal. Add a fusion of flavours and ingredients, and you can see why our blindfolded dinners are so popular. Your private chef will lead you through the blindfolded dinner journey, presenting each course. You’ll get to enjoy the dish with your blindfold on, picking up on new and subtle flavours you’ve never felt before. Have turns trying to guess which ingredients have been used and the origins of the dish. When you’ve finished, you can rip off your blindfolds and your personal chef will show you the dish you’ve just eaten, explaining what’s inside. Take your taste buds on a trip around the world with our culinary journeys. Designed to showcase the unique flavours and cuisines from different regions of the world, our culinary journeys have you eating like a local in big foodie countries. These journeys are a great way to enjoy a range of new flavours, dishes, and tastes, while learning about the history and ingredients of the dishes. From New Orleans to South America, Australia, China, and Europe, our culinary journeys are delivered with authenticity and expertise. What if you could eat, learn, and have fun at the same time? With our cooking classes and cook-offs, you can! Your private chef will be leading you through either the cooking classes or cook-offs, introducing you to new recipes and teaching you step-by-step methods of pulling off the dishes with perfection. 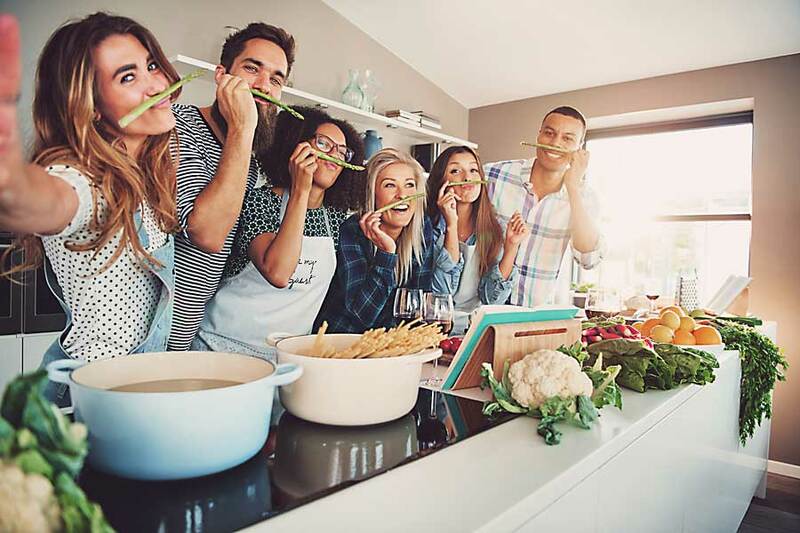 With the Masterchef-style cook-off, you can compete against your friends and family to see who can follow instructions and cook the best meal. Your personal chef can play judge, sampling your final dishes and giving you tips and pointers for next time. It’s all in good fun, and everyone wins! Choose from pasta making to pizzas, pickling, fermenting, and more! Fancy a little adventure? With your private chef as your tour guide, our culinary camping experience takes you to a secret spot out in the wilderness. 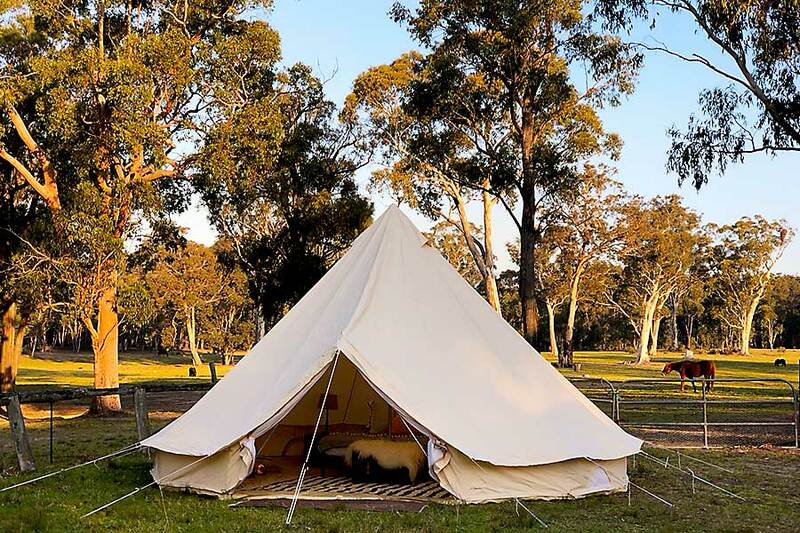 You’ll get to go foraging for wild native ingredients with your chef, see some incredible sights with some bushwalks, and enjoy an incredible Aussie BBQ feast under the stars. You’ll also get to enjoy a tour of local foodie stores, co-ops, growers, and producers to pick up some goodies. We’ll take care of everything, including transport, so all you have to do is sit back and enjoy the experience! Check CHEFIN’s experiences and find what suits you. When you work with us, you’re getting more than just a plate of food. You’re getting your own private chef designing, cooking, and delivering a mouth-watering feast on-site and on-demand.